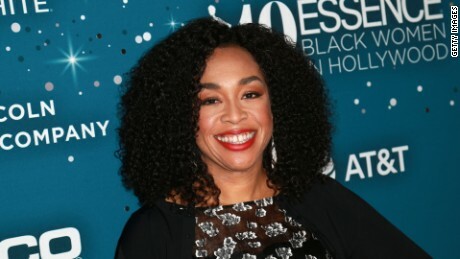 Hollywood readily opened their wallets for Harris, their home state senator, who raised more than $12 million total in the first three months of the year. That first quarter haul put her in second place behind Vermont Sen. Bernie Sanders in the crowded Democratic presidential primary field for most money raised from individual contributions. Abrams, Affleck and Rhimes all gave Harris maximum contributions of $2,800, along with legendary music producer Quincy Jones, Hollywood super-agent Ari Emanuel and Dreamworks CEO Jeffrey Katzenberg. Actress Eva Longoria Baston contributed $5,400 to Harris, maxing out for both the primary and, should Harris secure the nomination, the general election. Other famous Harris donors included Los Angeles Lakers president and owner Jeanie Buss, who contributed $2,700; Academy Award-winning writer/director Lee Daniels, ($2,700); actress Reese Witherspoon ($2,250); actress Busy Philipps ($2,000); actor Jon Hamm ($1,000); comedian Wanda Sykes ($500); actress Felicity Huffman ($400); and actress Lily Tomlin ($200). But Harris wasn’t the only 2020 Democrat to receive campaign contributions from the rich and the famous. Sanders received contributions from a trio of celebrity supporters who vocally backed his 2016 presidential campaign — Academy Award-winning actress Susan Sarandon ($2,800), actor Danny DeVito ($2,700) and actress and activist Shailene Woodley ($1,777) all gave in 2019. Some other notable Sanders donors: Grammy-winning singer/songwriter Norah Jones, who gave $2,500; “Silicon Valley” actor/comedian Thomas Middleditch ($1,000); “Crashing” actor/comedian Pete Holmes ($600); and a pair of musicians — Grammy-nominated singer/songwriter Jackson Browne ($100) and Rostam Batmanglij ($250), formerly of the band Vampire Weekend. Pete Buttigieg was another 2020 Democrat who benefited from a slew of celebrity contributions. Actress Jane Lynch contributed $2,500 to Buttigieg’s campaign, along with actor Bradley Whitford ($2,000), actress Mandy Moore ($2,000), actor Pedro Pascal ($1,500) and actor Ryan Reynolds ($250). Among Buttigieg’s more intriguing campaign donors: James Murdoch, the son of conservative media mogul Rupert Murdoch, who contributed $2,800. The Murdoch empire includes some of the nation’s most influential conservative outlets, including Fox News. However, James Murdoch, viewed as more politically moderate than his father, struck out on his own last year and has founded an investment firm, Lupa Systems. Meanwhile, Beto O’Rourke, who has a punk-rock background, received donations from some famous musicians and artists in the first quarter. Country and folk songwriting legend Willie Nelson gave O’Rourke a $2,800 primary maximum contribution, as did Boyd Tinsley, a member of the Dave Matthews Band. O’Rourke also received contributions from “Better Call Saul” actor Bob Odenkirk ($1,500) and “Mad Men” actor John Slattery ($500). Some famous contributors seemed content to play the field at this early stage in the White House race — Witherspoon and Rhimes, who both gave to Kamala Harris, also made max $2,800 contributions to New York Sen. Kirsten Gillibrand. Gillibrand also received contributions from actress Connie Britton ($2,000), comedian/actress Rachel Dratch ($500), and actress Carla Gugino ($500). New Jersey Sen. Cory Booker also received some celebrity campaign contributions, including from actress Rosario Dawson, Booker’s girlfriend, who contributed $2,086.25 to his presidential campaign. Booker also received a max contribution from singer and New Jersey native Jon Bon Jovi, who hosted a fundraiser for Booker; a $2,800 max from actress Emily Deschanel; $2,800 from Katzenberg (also a max Harris donor); and $1,000 from actress Jamie Lee Curtis. 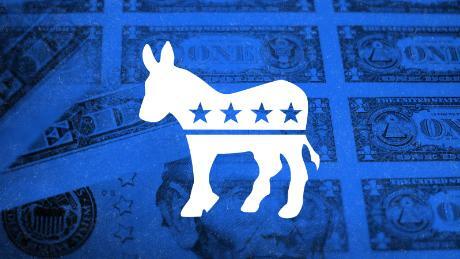 Some of the less-well known 2020 candidates also received notable campaign contributions. Businessman Andrew Yang received a near-max $2,700 contribution from actor Noah Centineo, an actor in Netflix’s “To All the Boys I’ve Loved Before,” in addition to $1,000 from Twitter CEO Jack Dorsey and $1,000 from Weezer frontman Rivers Cuomo.